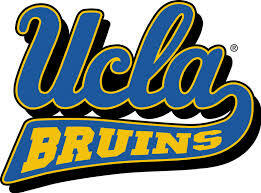 The University of California at Los Angeles is a four-year, public university in Los Angeles, California. UCLA has a robust veteran services center and website to assist prospective and current military affiliated students. UCLA is proud to have made the "Military Friendly Schools" list. This distinction means we are in the top 15 percent of U.S. schools in terms of our ability to provide a positive and rewarding experience for military students. UCLA is part of the 10-campus University of California system. UC campuses, which are located throughout California, offer hundreds of choices of majors and are recognized as some of the nation's most elite academic institutions. UCLA students enroll full time and attend daytime classes. We do not offer part-time enrollment or evening coursework for our undergraduate degree programs. UCLA Extension offers academic and professional development courses to students not seeking a UCLA degree, with options that include part-time, nighttime and weekend classes and several satellite locations. UCLA admits undergraduate students, those seeking bachelor of arts or bachelor of science degrees, in two categories: freshmen and junior-level transfers.